Ken Kesey was born in 1935 and grew up in Oregon. His books include Sometimes a Great Notion, Kesey's Garage Sale, Demon Box, Sailor Song, and Last Go Round (with Ken Babbs). He passed away on November 10, 2001. "A work of genuine literary merit . 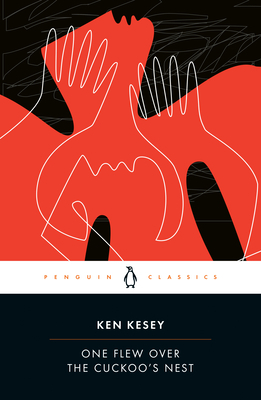 . . What Mr. Kesey has done in his unusual novel is to transform the plight of a ward of inmates in a mental hospital into a glittering parable of good and evil." "[A] brilliant first novel . . . a strong, warm story about the nature of human good and evil . . . Keysey has made his book a roar of protest against middlebrow society's Rules and the invisible Rulers who enforce them." "The final triumph of these men at the cost of a terrifying sacrifice should send chills down any reader's back. . . . This novel's scenes have the liveliness of a motion picture." "An outstanding book . . . [Kesey's] characters are original and real. . . . This is a tirade against the increasing controls over man and his mind, yet the author never gets on a soap box. Nor does he forget that there is a thin line between tragedy and comedy."